A growing number of older Americans are returning to the workforce or never leaving it entirely behind. In 2016, 19.3 percent of people over age 65 were working or actively looking for work, up from 12.1 percent in 1996, according to the U.S. Bureau of Labor Statistics. That percentage is expected to increase to 21.8 percent by 2026. Experts say there are several reasons for this. Regardless of retirees’ reasons for working, there’s probably a position to suit their schedules and lifestyles. Read on to see 15 part-time jobs for retirees to consider. Bookkeeping, accounting and auditing clerks create and review financial records for organizations including insurance, medical and professional services firms, among others. These number-savvy workers held about 1.7 million jobs in 2016, and roughly one in four worked part-time. Flex factor: If you spent your corporate career crunching numbers, that experience could allow you to start your own home-based bookkeeping business or find a position at a smaller firm that doesn’t need a full-time financial guru. There are also several outsourcing firms that hire bookkeepers, and many of them allow employees to work exclusively from home. Management analysts, often known as management consultants, present ways to improve organizational efficiency, according to the BLS. Consultants work in a variety of fields, and about 17 percent were self-employed in 2016. Flex factor: Stan Kimer, president of diversity and career development consultancy Total Engagement Consulting by Kimer, has found consulting to be his ideal part-time job. Since retiring, he’s put in an average of 24 hours a week, about 60 percent of his previous workload. While some people might consider this a casual favor provided to friends and family, many people do hire house sitters with documented credentials to care for their homes, plants and pets while they are away. Flex factor: Websites such as HouseSitter.com make it easy to find paying house-sitting stints that suit your schedule. And sites like TrustedHousesitters offer in-kind trades for retirees looking to travel on the cheap. Health information technicians, which include medical coders, organize and manage health information data. Some jobs in this industry require completion of a post-secondary certificate program, while others require an associate degree. Many also require certification from a professional organization such as the American Academy of Professional Coders. Flex factor: Medical records and health information technicians held about 206,300 jobs in 2016, but openings are expected to increase by 13 percent between then and 2026, according to the BLS. Increasing demand for coders is driving many medical providers to outsource their coding workload to companies that offer work-from-home positions ideal for some retirees. E-commerce websites — including eBay, Etsy and Handmade at Amazon — have made it possible to sell just about anything over the internet. Although many individual sellers are operating solo, these online marketplaces are big business, with Etsy alone hosting 1.9 million active sellers who brought in $2.84 billion in gross merchandise sales last year. Often, you can start an online business like this for under $100. Flex factor: If you have a flair for crafting or curating vintage items, setting up a virtual store on one of these sites could be a great way to turn your creations into cash. The sites provide detailed instructions and advice on how to set up shop, with some even offering in-person educational opportunities for potential sellers. Many park employees are retirees spending their second careers in the great outdoors or working at monuments around the country, according to the AARP. State and local parks offer similar opportunities, but experts advise those who want to become retiree rangers to start applying early, as national parks often hire six months ahead. Flex factor: Many available jobs are part-time positions, seasonal spots or both. And retirees who aren’t tied to a particular place can also embrace employment as a travel adventure because a variety of jobs for seniors are available in parks across the country. Do you have an eye for decorating or excel at organizing big events? If so, you can turn your talents toward planning parties for others. You might start by selling services based on referrals by friends and family or sign up on a site such as TaskRabbit. The online and mobile marketplace matches people, or “taskers,” with customers in their area looking for help with everything from event execution to cleaning and delivery services. Flex factor: Retirees only have to accept jobs that suit their skills and schedule. And, if they use a site like TaskRabbit, many of the administrative details, such as payment collection, are taken care of. The customer also pays the TaskRabbit service fee in addition to your hourly rate, so you’ll know exactly what to expect when your payment arrives. Americans spent $66.75 billion on their pets in 2016, up from $60.28 billion the year before, according to the American Pet Products Association. And the trade group expects canine- and cat-loving consumers to spend $69.36 billion this year on food, veterinary care, services and more. So, there are plenty of opportunities to make money as a pet sitter, dog walker or drop-in canine companion. Flex factor: After retirement, Walt Galvin parlayed his passion for dogs into a part-time job and a paycheck that averages around $1,500 a month. He provides dog walking, boarding and other services through the online service provider network Rover. His profile allows him to list work preferences and set his own schedule. Retail workers help customers find items, ring up merchandise, process payments and keep the sales floor in order. More than 4.52 million Americans were part of this occupational group in 2016, and roughly one in three worked part time, according to the BLS. Flex factor: The sheer number of retail jobs available means retirees have a good chance of finding one that fits their schedule. And if you land a part-time position at one of your favorite stores, employee discounts could be an attractive workplace perk, said Valerie Streif, a senior advisor for Mentat, a San Francisco-based job search firm. Ridesharing services like Uber and Lyft have provided drivers a detour out of full retirement. A 2017 survey of subscribers of the popular Rideshare Guy blog found 54 percent of ride-share driver respondents were 51 or older — including 24.3 percent who were 61 or older. Flex factor: There are many things to consider if you want to be a successful rideshare driver. But once you join, the ride-sharing services’ apps provide drivers the information and tools needed to start picking up passengers. The systems allow drivers to set their own schedules, although they’ll earn more when drivers are in high demand. About 70,030 people held jobs preparing tax returns for individuals or small businesses as of May 2016, according to the BLS, which excluded the category of “accountants and auditors” from that count. You don’t need an accounting degree to work as a tax preparer, although a business background can help. Tax preparation giant H&R Block offers its own Income Tax Classes that could earn you an interview with the company. Flex factor: Intuit, which operates TurboTax, offers remote jobs for qualified people who want to help taxpayers prepare returns from the comfort of home. Tutor ranks No. 61 on the CNNMoney/PayScale list of 100 best jobs in America for 2017. Upsides include the job’s benefit to society, high potential for job satisfaction, low-stress levels and solid salary average of $51,200. Similar positions include substitute teaching and working as an adjunct professor at local community colleges or universities, which are hiring an increasing number of part-time profs. Flex factor: If you operate your own tutoring business, you can set your hours and schedule sessions just about anywhere that’s convenient for you and your clients, including coffee shops and local libraries. You could apply for a job with a tutoring center such as Sylvan, Kumon or Mathnasium. Tutoring providers, such as Varsity Tutors, allow retirees to earn extra money tutoring students either in their homes or online. These event workers take tickets and help people find their seats or locate facilities within a venue. According to the BLS, 117,700 people held jobs in this occupational group in 2016, and employment was expected to grow by 7 percent through 2026. Flex factor: Much of this work is seasonal, including ushering jobs with professional sports teams. Retirees can often pick positions with perks that fit their interests. For example, many Major League Baseball ushers — often known as guest service ambassadors — are retirees and lifelong fans of the team they now get to watch all season long. If you’re more of a performing arts fan, theaters around the country regularly advertise openings for part-time event staff or ticket service representatives. Virtual assistants do everything from proofreading to web research. And online job boards make it easy to find gigs, said Carisa Miklusak, CEO of online recruitment site, tilr. Flex factor: Being a virtual assistant can be a great way to make money online. Most people can find opportunities to suit their abilities and interests and choose to work when and where they want. If you’re looking for a new part-time job, consider inquiring at your old job, said Suzanne Brown, book author and founder of the website Mompowerment. 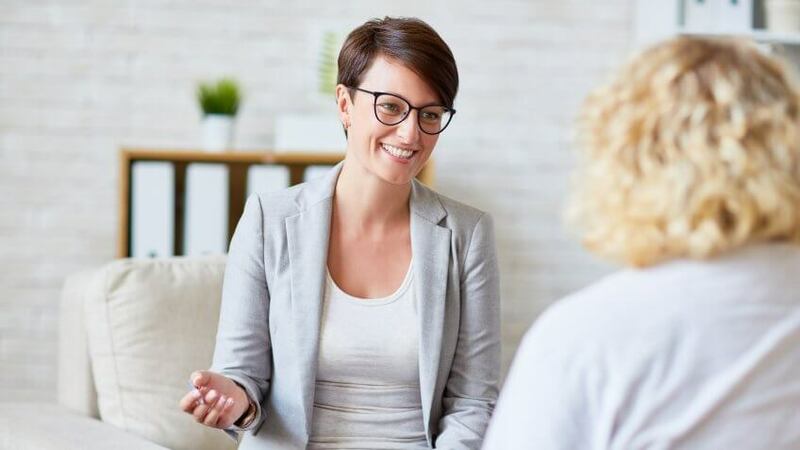 Some professionals — particularly in the medical, legal, financial and tech fields — can command significant salaries for part-time positions, according to a data analysis by FlexJobs. For instance, part-time attorneys could bring in more than $250 an hour and psychiatrists could demand nearly $200 for an hour of work. A more gratifying career depends on forming bonds at work. Should I quit my job? See what the experts have to say.